An investigation has been launched after an Inver man died when his boat capsized off the north Mayo coast earlier this week. John Healy (57 ) died after the boat he was working on began to sink on Tuesday afternoon 16 nautical miles northwest of Eagle Island off the Erris peninsula. 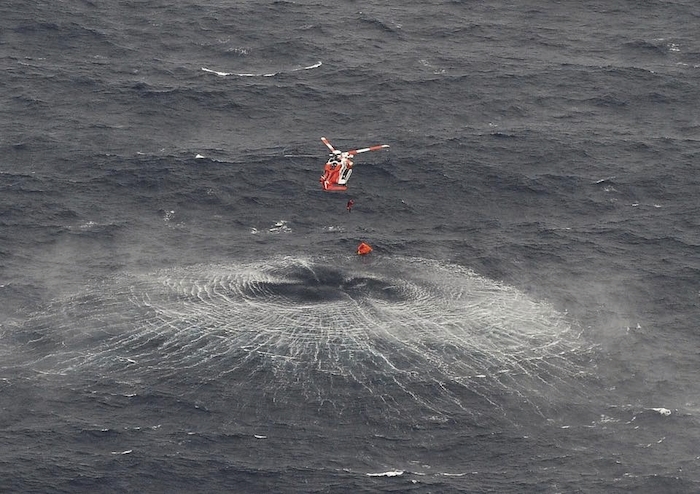 Two other men, both aged in their 20s, were rescued from the Aisling Patrick. They were kept overnight at University Hospital Sligo before being released on Wednesday morning. Mr Healy will be laid to rest today, Friday April 13 in Pullathomas Cemetery following his funeral mass St Patrick’s Church in Inver at 12 noon. It is understood the boat went down rapidly, with crew members only managing to make a broken Mayday call, with partial co-ordinates, to the Coast Guard before they had to leave the vessel. The Sligo-based Rescue 118 helicopter was dispatched immediately, with support also provided by the Ballyglass-based RNLI crew. The Air Corps Casa aircraft was on patrol duty in the area at the time and also assisted in the rescue effort. A coast guard official confirmed to the Mayo Advertiser; "We didn't have the name or type of vessel and we were only able to get the latitude and not longitude. "We were very lucky the Air Corps was in the area and they were rescued," he said. The three fishermen were found on a life raft after they lit flares to alert the rescue teams of their location. All three were airlifted from the raft and taken to hospital. But Mr Healy was pronounced dead at Sligo University Hospital. The Marine Casualty Investigation Board has launched an investigation. A yellow small craft warning had been issued by Met Eireann, warning of northeasterly winds reaching force six at times, from Rossan Point in Co Donegal down to Roches Point in Co Cork, at 10am on Tuesday morning. There was a force five wind in the area at the time of the rescue, with a 3.5-metre sea swell, according to the Coast Guard. Local gardai are preparing a report for the coroner who will in turn establish a cause of death for Mr Healy.